Picture a village. Remote, undeveloped, overwhelmed by poverty and characterized by broken relationships. Where malnutrition, illness, and a small number of positive role models oftentimes leave children extremely vulnerable. And where the perpetual cycle of poverty cripples entire generations, decade after decade. My grandson had a birthday recently. He’s two. He blew out candles, devoured cake and ice cream, and tore into presents. His favorite was a large bubble machine that floated huge translucent bubbles all over the room when he blew with all his might. My work every day at World Relief involves birthdays. We mark them, celebrate them, prepare for them, and advocate for them. No, not birthdays with cake and bubbles, but birthdays with critical significance: the milestone of reaching a precious child’s fifth birthday. Too many children in our world never reach their fifth birthdays. In fact, nearly 6 million children under-five die every year. They die prematurely from diarrhea, malnutrition, malaria or pneumonia; all of which are preventable deaths. Today, however, we know how to simply, cost-effectively and radically ensure that no child fails to reach his or her fifth birthday because of these causes. Recognizing what nutrition experts call, a “Window of Opportunity” to promote nutrition and early development during the first 1000 days of life (counted from conception to two years), World Relief and the communities and churches we work through are seizing this opportunity to protect and nurture these precious children under the age of five. The interventions are basic:improved nutrition for mothers, infants, and children; prevention of life threatening pneumonia and diarrhea;and prevention and early treatment of malaria. Something as simple as hand-washing with soap can prevent persistent diarrhea that may eventually lead to severe dehydration, malnutrition and even death in a two-year old. So what prevents this life-saving work from saving the lives of more children? How can we reach the millions of children needing this support throughout these early months and years? How can we impact behavior, especially where some cultural practices and a simple lack of knowledge can impede growth and development? Long ago, a practical solution to reaching large masses of people was proposed by Jethro, a simple farmer whose son God chose to lead the Israelites to the Promised Land—Moses. Today, World Relief and many other NGOs and governments are using the same model Moses initiated…and we call them Care Groups. Care Groups are an integral part of our Church Empowerment Zone (CEZ) model, pioneered in Rwanda and used across many of our programs in sub-Saharan Africa, and parts of Asia and the Middle East. As a part of the process, small groups of 10-15 community members are formed, trust is built, information is shared, volunteers support one another, and then share their learnings with neighbors in their village. Complete community saturation is the goal and the means through which Care Groups can potentially reach every child under five to ensure they safely navigate their early years. The implementation and impact results of this biblically-designed approach has a growing amount of evidence-based findings. The peer-to-peer approach has reached over 1.4 million households in more than 28 countries globally. It is attracting public health experts, government ministries of health, and large development funders. And, it is at the very core of what we do here at World Relief. Once scaling and saturation takes place in communities, the Care Group model allows communities to reach a critical tipping point that has the potential to transform entire nations. 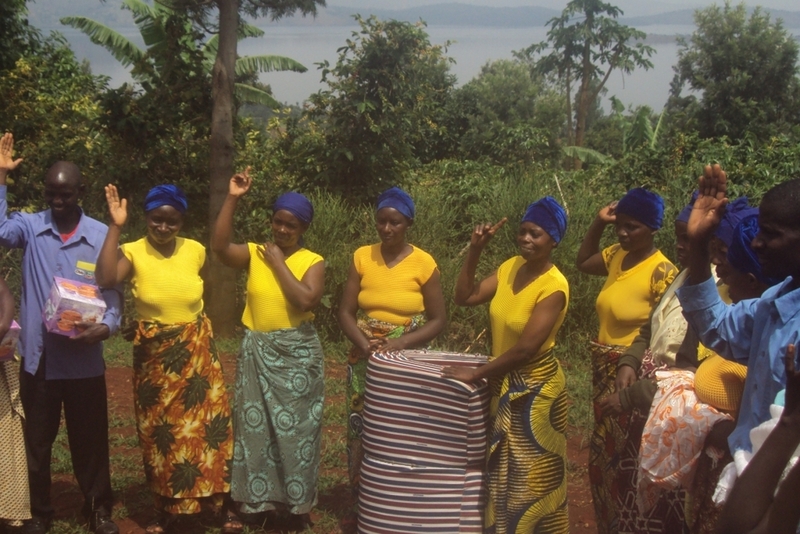 As a result, the Care group model becomes an efficient, inexpensive, self-sustaining vehicle for transformation. It is a future that is bright, and filled with healthy, joyful children, celebrating many more birthdays to come. Deborah Dortzbach is the Senior Program Advisor for World Relief. She has been involved in church-based HIV/AIDS prevention and care since the early 1990s. Prior to joining World Relief she directed MAP International's HIV/AIDS programs from 1990-1997. Doborah is the author, with W. Meredith Long, of The AIDS Crisis: What We Can Do (2006), as well as Kidnapped (1975), which chronicles her 1973 abduction with her husband by the Eritrean Liberation Front while they were working as missionaries. Poverty runs deep in Rwanda. 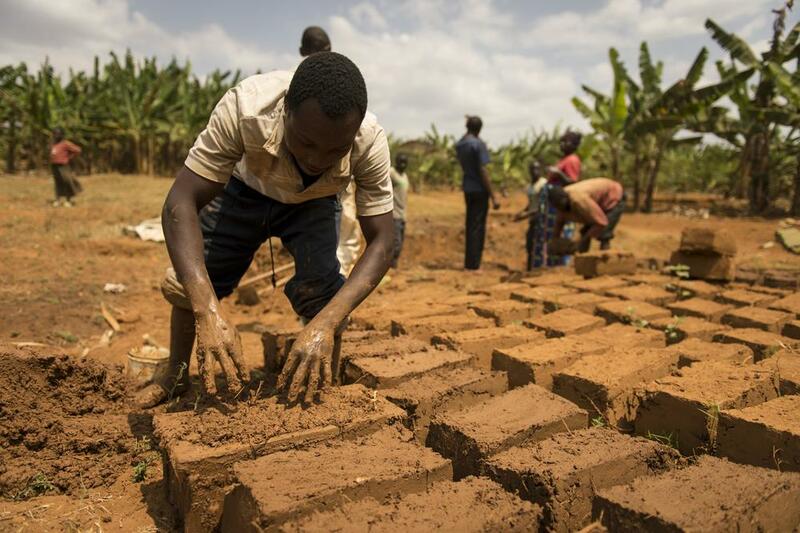 Even though this country has made signifiant social and economic progress over the last decade, the vast majority of Rwandans live in rural areas and struggle with severe financial hardships. Of the 87% of Rwandans who do not live in cities, 48.7% live below the national poverty line. Living in this stark reality in northwest Rwanda, Odette Hakuzayezu found herself miserable and hopeless. Invited to join a Savings for Life group by a World Relief trained volunteer, she agreed and had little idea of what it would bring. Group members meet regularly, pool their money together in savings accounts and create an emergency fund that can be used by someone in the group with unexpected, urgent needs. 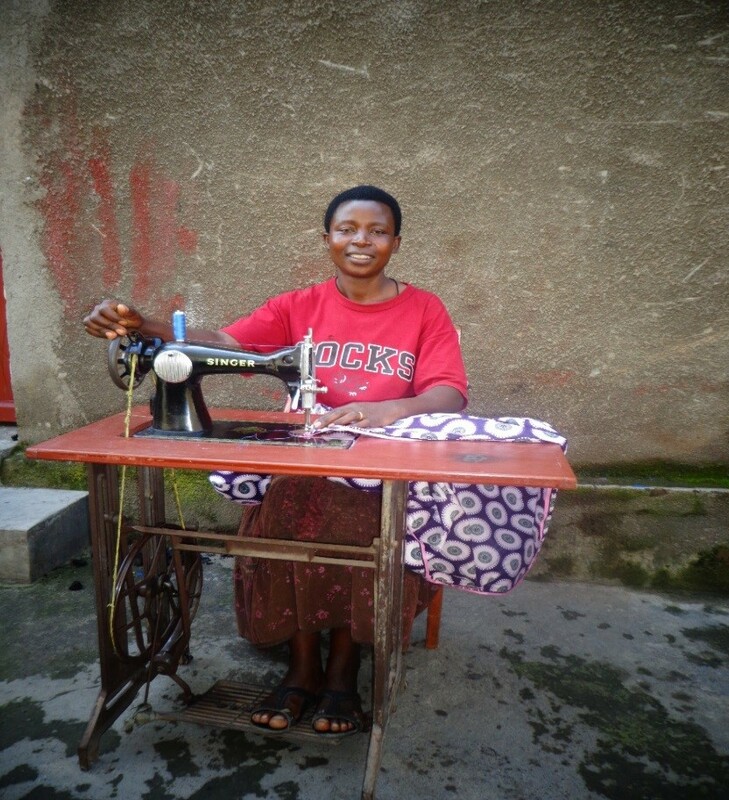 Saving what little she had over time added up and before Odette knew it, she was able to buy a sewing machine. 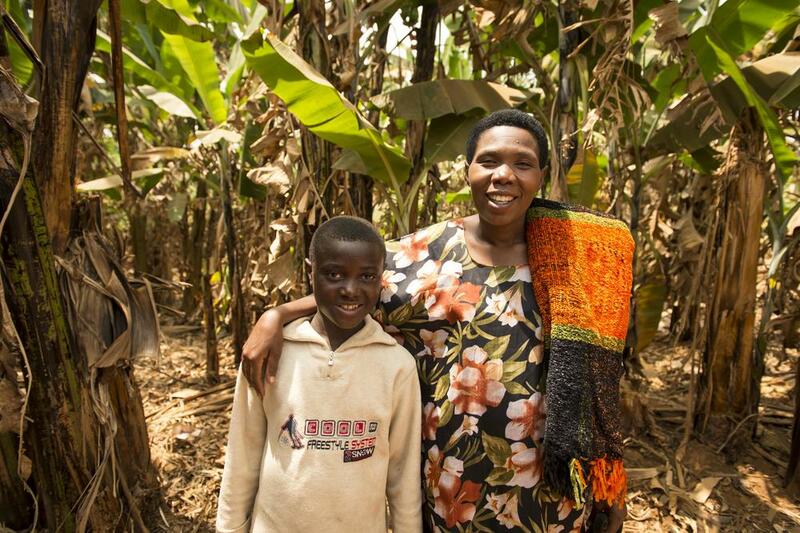 For Odette and many others like her, savings is more than just accumulating money - it’s restoration. Being a part of a Savings for Life group empowered Odette to use what she had in community with others to make a better future for herself and her family. She now has a tailoring business, a regular income and a way to help take care of her family of 5. Odette’s dignity and hope are restored and she’s gained encouraging friends, fellow savings group members, in the process. In partnership with local churches around the globe, World Relief meets the tangible and spiritual needs of thousands of people like Odette each year through programs like Savings for Life. Simple financial trainings and accompanied Bible teachings lead to a restored life with limitless possibilities. This month, we’re discovering what Savings for Life means to women and men in some of the most vulnerable places on earth. Check back with us again next week to hear more stories of hope – and stand with us today as we pursue lasting change through economic development.